Walbridge School provides an individualized education program that teaches students with learning differences by teaching to their strengths not their weaknesses. Walbridge is a small school environment where students more fully realize their academic, emotional, and social learning potential. At Walbridge we believe that each child learns differently because each child brings unique experiences, strengths and challenges to the classroom. We believe that curriculum should be carefully and intentionally adapted to the strengths, needs and challenges of each student. We know from our long experience that all children can learn, so we are committed to the academic success of every single student at our school. We believe that students who have not met with success in a traditional classroom setting can still experience a full and enriching education. We believe that our small, welcoming and inclusive learning community provides a safe place for students to learn and grow. We believe in empowering students to understand how they learn best, to recognize their own strengths, and to realize their human potential as engaged and confident young men and women. Walbridge School was founded in 1986 by a group of parents and educators with children who had not thrived in their previous schools where they were receiving special education services. The founders and staff developed teaching strategies and curriculum, using the best practices from schools around the country that centered on individualized instruction, multi-sensory teaching, and the use of the Orton-Gillingham approach for reading instruction. 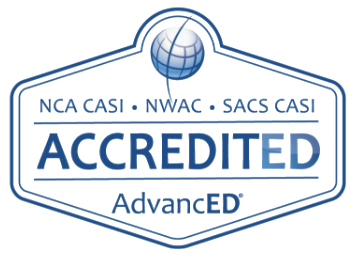 The new school was named the Wisconsin Academy of Adaptive Learning, and for the first four years of its operation, it enrolled only students with diagnosed learning disabilities. With the documented success of small group, explicit, systematic, multi-sensory instruction, enrollment was expanded to include any child who would benefit from the Walbridge instructional approach. In 1991, the school’s name was changed to Walbridge Academy. Pleased with the academic and social progress of their children, parents requested that our school provide a middle school program. A new, carefully constructed sixth through eighth grade curriculum was developed based on, small group instruction as used in the lower grades. The first middle school students were enrolled in the fall of 1994, and this program has been very successful in providing effective academic instruction in a safe and affirming learning environment. The school’s name was changed to Walbridge School in 2003. While our students are successful in making the transition to a public or private high school, a small number found they would prefer to continue their education at Walbridge School. To meet the needs of these children, in 2010 Walbridge School piloted a high school transition program. This has evolved into a high school diploma program. Admission into the program is highly selective, based largely on the applicant’s desire to learn and work in a small group setting.